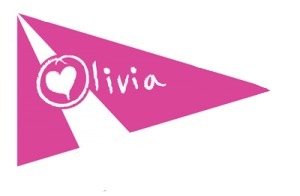 The Olivia Constants Foundation, Inc. (OCF) a 501c3 public charity, recently awarded grants to both the Severn River Middle School and Arnold Elementary School to support their bullying prevention programs. The Foundation is excited about their respective programs, Girl Talk and Small Croup Bullying Prevention, and their efforts to combat bullying and help to provide an environment that allows each student the opportunity to reach his or her own full potential. The Foundation is proud to be able to partner with these schools and their efforts to help students understand that they have the ability to change the culture at their schools and create an environment that is inclusive of all. The grants were made in the spirit of Olivia Constants who tragically lost her life in a sailing accident near the Naval Academy in Annapolis on June 23,2013. Upcoming, OCF will be hosting their first annual fundraising event on Saturday, May 11th from 6:00-9:00 pm at the spectacular waterfront site of Annapolis Mears Marina. It will be a night of celebration with great food, music, and more.